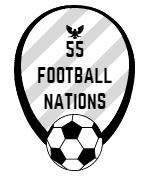 55 Football Nations did the 1-2-3. 55FN viewed one match in France and two full games in Andorra. Three fixtures at the Victoria Stadium in Gibraltar saw exotic creatures like Lions, Lynx and Red Imps in action. Travel highlights include some pretty snowy mountains and the only colony of relatively wild monkeys in Europe.